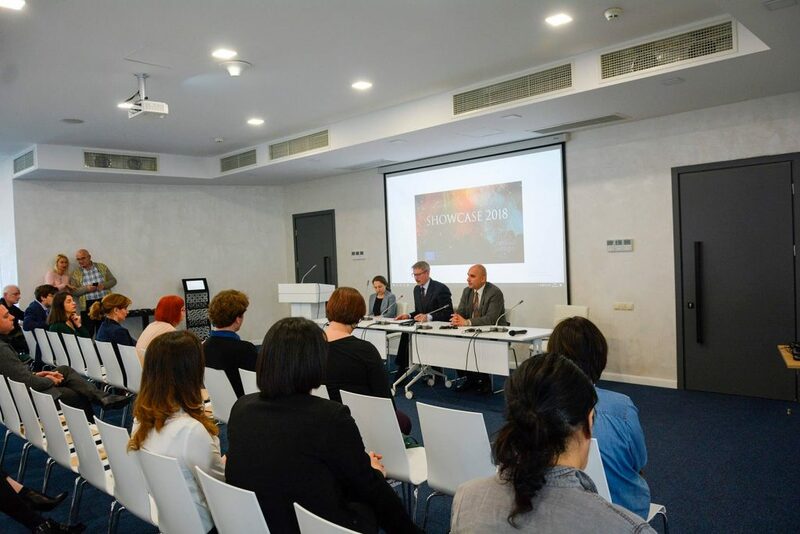 On the 11th of December 2018, Israeli House, one of the local partners of Parallel Traces, presented our project at the conference “Showcase 2018 – Georgia in Creative Europe”. The conference was held by the organization of the “Creative Europe” Georgia office and supported by the Ministry of Education, Science, Culture and Sport of Georgia. Within the framework of the conference, Creative European Beneficiaries shared their experience of participating in the EU program, as well as the professionals of the culture and audiovisual sector interested in the program. Parallel Traces Project raised interest among the guests and got positive feedback. Israeli House is a unique project that serves as a platform to achieve solidarity by public diplomacy and enhance the cooperation between Israel and friendly states, as well as to create a positive image of Israel by open disclosure of the Israeli Government’s policies. It opened in Tbilisi in 2013 and since then regularly holds lectures, meetings, exhibitions, presentations, introductory seminars about achievements of Israel in various spheres – cultural, economic, business, medicine, new technologies, political life, etc. ​Israeli House is member of European Alliance for Israeli (EAI) and The European Association for the Preservation and Promotion of Jewish Culture and Heritage (AEPJ), which is working under the auspices of Council of Europe. In the framework of Parallel Traces project, Israeli House of Tbilisi, together with the other local partners, will curate the local competition of digital artwork about the Jewish Heritage and subsequently organize the art exhibition in Tbilisi.